The US produces about 1% of the world’s organic cotton with most of the production in low-wage countries such as India and Turkey. 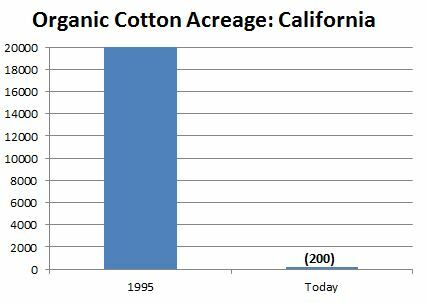 In the early 1990s, there was tremendous interest in organic cotton-growing in California and many acres were planted. However, high costs for labor-intensive tasks, especially weeding, resulted in clothing companies turning to the foreign producers. “Organic cotton production reached its height in the late 1990’s in California’s Central Valley with as much as 20,000 acres being grown. Hundreds of textile companies began using organic cotton in their products. (Hanna Anderson, American Apparel, Norm Thompson, Nike, Patagonia, Mountain Equipment Coop, IKEA, Eddie Bauer, to name a few). Affiliation: Sustainable Cotton Project of Community Alliance with Family Farmers. 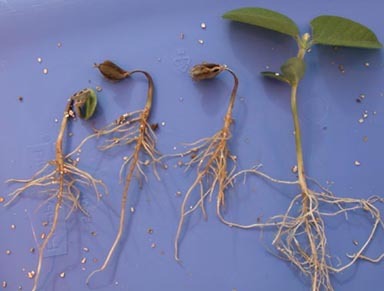 Title: Creating Market Demand For Biologically Based Growing Systems in Cotton. Source: 2007 Beltwide Cotton Conferences. New Orleans, Louisiana. January 9-12, 2007. Organic farming regulations are implemented by EU Member States mainly through the provision of financial support to farmers. There has been an increase in the areas under organic management in most EU countries, which is probably related to the direct effect of financial support. Greece is an important country with respect to organically cultivated land and has one of the highest rates of increasing organic areas in the EU. However, Greek organic products are very difficult to find in the market, and sales are extremely low. In other words, only a small amount of organic products are labeled and sold as organic products. Since farmers were willing to switch from conventional to organic agriculture, with the procedure to obtain the organic label being quite simple for farmers to follow, why are so many farmers not enthusiastic about certifying and labeling their products as organic? 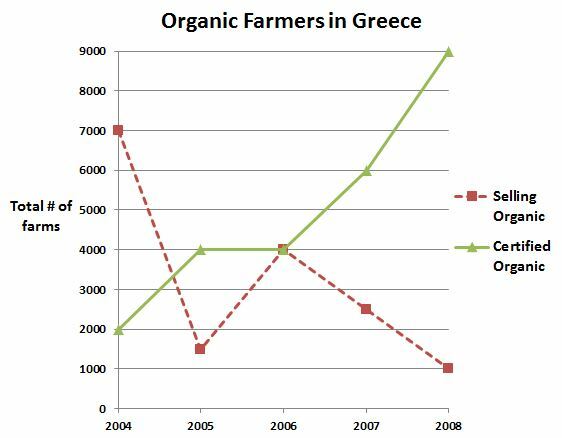 “In Greece, organic farming was majorly promoted through the provision of subsidies to farmers, i.e., since 2004. An average organic farmer in Greece has one of the highest per hectare support compared to other countries. However, subsidies are provided with no limitation regarding crop type, geographic region or other more specific characteristics. It is very likely that farmers are not selecting organic management for ideological reasons, but are driven by financial incentives to receive the available subsidies… In any case, when the organic agricultural sector operates in this way, it stops at the farm, resulting in it being short term and highly unsustainable, as it is completely dependent on direct and uninterrupted financing. Consequently, since organic farming is made profitable because of subsidies (sometimes double, as in the case of wheat), it is much easier for the farmers to sell organic products as conventional products in a market that they are already familiar with. Authors: Argyropoulos, C., et al. Title: Organic farming without organic products. Source: Land Use Policy. 2013. 32:324-328. Carrot is one of the most important vegetable crops in the EU with 6 billion pounds of annual production. The carrot fly is the major insect pest of the carrot crop in Europe. Before the introduction of insecticides in the 1950s, the carrot fly typically damaged 20-50% of the carrots grown in Europe. In some parts of Europe, the damage from the carrot fly was so severe that it was not profitable to grow carrots. Today, European carrot growers spray insecticides to prevent damage from the carrot fly. “Carrot fly, is the most widespread and serious pest of carrot, parsnip, parsley and certain other umbelliferous herbs in temperate regions of the world. … The insect has two and, in some parts of Britain, Europe and New Zealand, three generations each year. Adult insects feed on the nectar and pollen provided by ﬂowers and spend most of their life in the hedgerows, ditches or amongst herbaceous plants in gardens. Females search out carrot plants to lay their eggs which are inserted in crevices around the crown of the host plant. The larvae, which emerge from the eggs, migrate downwards to feed on plant roots. 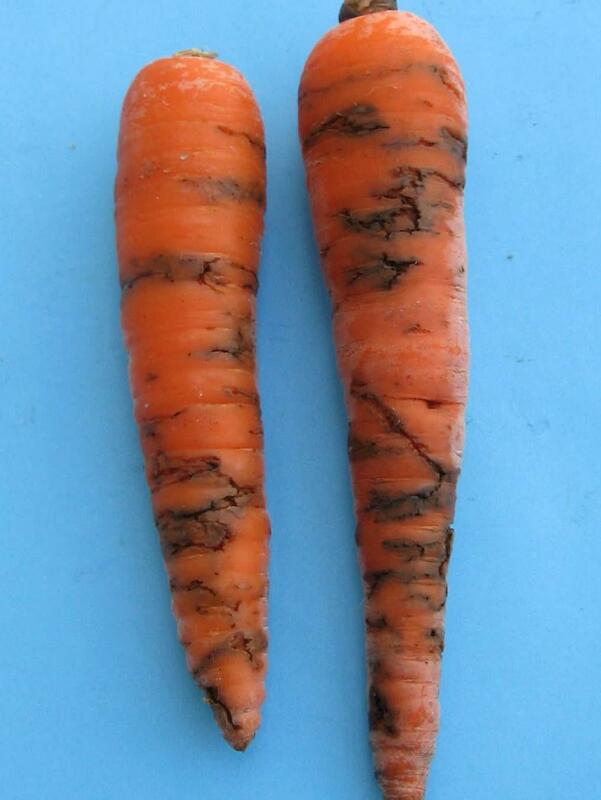 Carrots grown commercially can be rendered unmarketable by even slight carrot ﬂy damage. Affiliation: Horticulture Research International, UK. Source: Integrated Pest Management Reviews. 1999. 4:259-268. In order to increase biodiversity around crop fields, some countries have adopted policies to reward farmers for growing a diversity of plants in field margins. These diverse plants attract other species. Unfortunately, slugs thrive in these diverse field margins and move into fields. “Most field margins on arable land in Switzerland are narrow and intensively managed. As a consequence, field margins generally harbor few plant and animal species. To enhance biodiversity in arable landscapes, sown species-rich field margins, so-called improved field margins, were introduced in 2008 as a part of the Swiss agri-environment scheme. Such field margins are semi-natural, permanent habitats a minimum of 3m wide sown with indigenous forbs, grasses and legumes and adjacent to arable fields. Authors: Eggenschwiler, L., et al. Affiliation: Agroscope Reckenholz-Tanikon Research Station ART, Zurich, Switzerland. 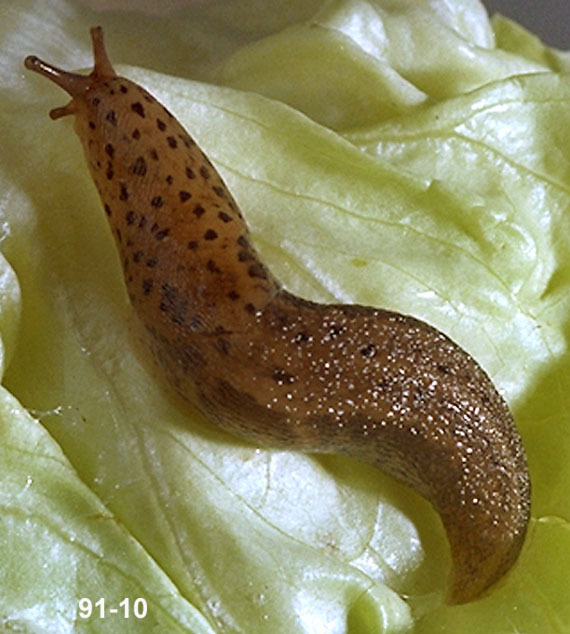 Title: Improved field margins highly increase slug activity in Switzerland. Source: Agron. Sustain. Dev. 2013. 33:349-354. 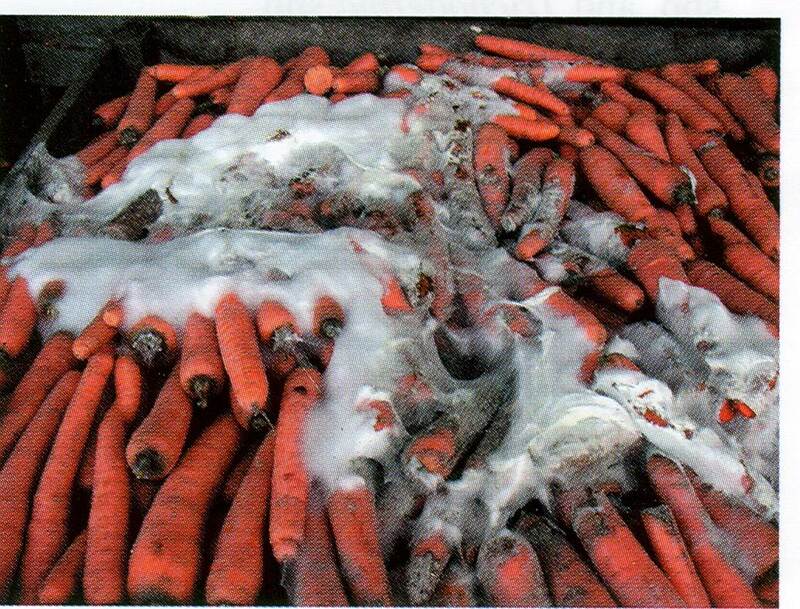 Sclerotinia rot of carrot (SRC), caused by Sclerotinia sclerotiorum, is one of the most economically important diseases of carrots. Losses to this disease can occur from pre-harvest epidemics, originating in the field, or from post-harvest outbreaks caused by infected carrots entering storage. Post-harvest outbreaks are particularly devastating, with storage losses of some commercial growers reported as high as 50% in Canada. “Typically, in Prince Edward Island (PEI), where about 300 ha of carrots are grown, losses in storage due to SRC occur in most years. In 2006, losses due to SRC cost carrot growers in PEI approximately $500,000. In 2007, losses in storage of approximately 25% (valued at $350,000) occurred, and yet, 2007 was not considered a year with high disease pressure. After witnessing the serious disease pressure and crop losses occurring at the local vegetable co-op first hand, our research teams initiated a program to examine potential post-harvest control options for SRC in storage. Peters, R. D., et al. Affiliation: Agriculture and Agri-Food Canada. Title: Post-harvest Application of Fludioxonil for Control of Sclerotinia Rot (Sclerotinia sclerotiorum) of Carrots in Storage. Source: Carrot Country. Winter 2009. Pgs. 12-15. When several ultra-rich celebrities and businesspeople tried their hand at organic farming, they found the going a little rough. Of course, they knew going in that growing any kind of crop these days demands not only a high level of skill and knowledge, but a comprehensive grasp of factors affecting the bottom line. Didn’t they? According to an article in WSJ. Money magazine, these modern-day gentleman, and gentlewoman, farmers – who had hoped to prove the principles of organic farming once and for all – instead found it costly, incredibly labor intensive and full of confusing and often conflicting regulations. “The nation is in the middle of an organic-food boom, and in case you haven’t noticed, a surprising number of boldfaced names are becoming part of it. That includes Oprah Winfrey. …as well as comedian Roseanne Barr. This gentleman’s farming—or gentlewoman’s farming—movement has spawned its own lifestyle brand. But the good intentions of these type-A types notwithstanding, the economics of organic farming are a potential blow to their fairly large egos. These are individuals with scores of successes in life, but experts say that despite the price premiums that come with organic labeling or other likeminded practices, the math doesn’t always work out. It is just too expensive to do. With organic farming, there’s an issue of scale that makes turning a profit hard. In myriad ways, conventional factory farms benefit economically by virtue of their size; not just by purchasing feed and seed in volume, but also in handling pest and weed control. For example, on an organic farm, weeding can be far more labor intensive because it can involve actual weeding. And crops can wither due to one problem or another, with no jug of Roundup to remedy the situation. Title: The New Gentleman Farmer. An Ag Communication specialist recently read through the Bard’s plays and found several quotes about the importance of controlling weeds. 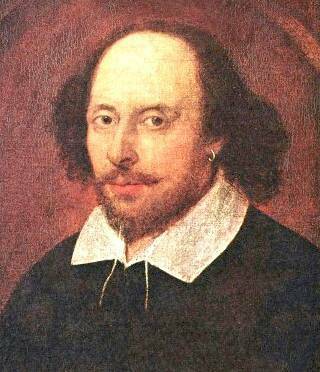 “I suppose Shakespeare wasn’t an agronomist in the proper sense so much as he had an acute, affectionate love of nature along with the transcendent genius to contemplate and express his sublime sentiments. It wasn’t that he surveyed or discovered things in the world that no one else could see externally, but everywhere in nature he found metaphors for the human condition. The Bard was so comprehensive and universally appealing that multitudes of professions have “claimed” him as their own practitioner: Why can’t we agricultural communicators claim him as our own as well? Without further ado, here are just a few quotes I plucked out of the Bard’s works pertaining in some manner to the foulness of weeds or other pests. The soil’s fertility from wholesome flowers. I think the above clearly shows that Shakespeare would’ve concurred with our contention that one must control weeds if one wants to preserve moisture and nutrients for one’s crops. Fye on you weeds! Thou art rank and gross! My fellow ag communicators have been proclaiming this for years… just like Hamlet. With baleful weeds and precious juiced flowers. Source: Agri Marketing. November/December 2009. Pgs.54-55. Organic growers face the same potentially severe pest problems as non-organic farmers. By contrast, the organic farmers have a very limited range of approved products with which to control these problems. In many countries, very few fruit farmers even dare trying to grow with the less effective organic pest control methods. 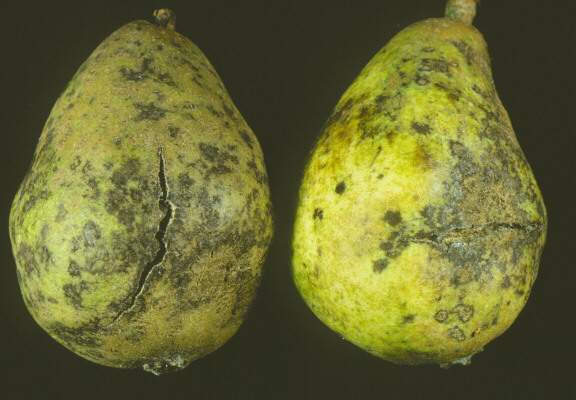 Title: Conference pears; work on system changes to enable better scab control in organic orchards in the Netherlands.